Even after your best efforts of preventing tooth decay, sometimes, it just happens and your dentist ends up finding a sign or two. Though, it’s not as threatening, nor as painful, you shouldn’t give in to the temptation of putting off treatment for a later time. This is because tooth decay just doesn’t repair itself, not now and not ever. If it’s already begun showing signs and symptoms, what may start off as a minor problem can escalate rather quickly if left untreated, more so if left unchecked. Tooth decay is a very subtle bacterial infection that starts way before patients develop any noticeable signs and symptoms. Thanks to the acid-spewing bacteria produced by the sticky plaque on your teeth, the acids can slowly dissolve even the hard enamel protecting your teeth. It does this without causing any pain or discomfort. By the time tooth decay does cause pain, it can infect not just your teeth, but also the root and cause even more pain. Though, if you visit your dentist regularly, you won’t have to worry about checking signs and symptoms yourself since they’ll know if you’re already suffering from early tooth decay through a regular oral or dental examination. The best possible course of action is to seek care as soon as possible. Not postponing treatment gives you a better chance of fighting off tooth decay and in many cases, even reversing its effects. Fluoride treatments. Applied via liquid, gel, foam or varnish, the flourish is brushed to teeth and placed in a small tray that’s worn over the teeth. Each treatment takes no longer than a few minutes and is likely to help restore the tooth’s enamel in minor cases such as when the cavity is just getting started. If the decay has begun to erode tooth enamel, fillings can be used to restore teeth to its proper shape and cover up cavities. For a better look, opt for tooth-colored fillings that fit perfectly with the rest of your teeth. Once the cavity has grown too big, causing the tooth to lose much of its structure, a crown may be the only way to restore the tooth’s shape and function. These treatments cost a bit more than just a simple filling. Root canals. A root canal is often the only way to save the tooth once the tooth decay has progressed too much, where the diseased pulp is cleaned and sealed. A crown may be necessary if to restore the tooth to its proper form and function. Tooth extraction. In the worst possible case, the dentist may have to remove the affected teeth to prevent tooth decay from spreading even further. Aesthetically, having a missing tooth or two just doesn’t look good. Though, the various health risks it poses shouldn’t be neglected as well. One good reason why you shouldn’t let tooth decay progress even further is not just the possible loss of teeth, but how it can progress to periodontitis. This form of gum disease is very dangerous and may put you at risk for various complications, ranging from heart disease and diabetes, among others. Even worse is that it’s not easy to cure, nor is it curable in most cases, often only manageable through regular treatments, which can be quite expensive. 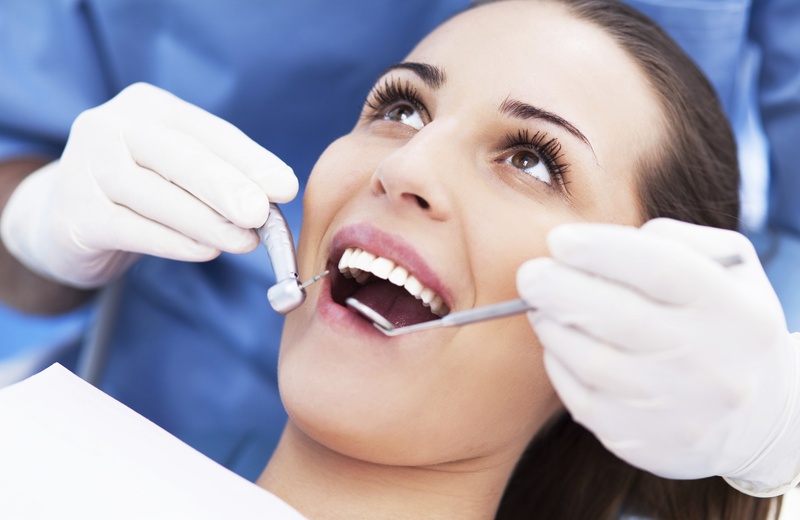 To put simply, you should always go to the dentist at the first sign of trouble. Though, if you’re already there, might as well ask for a list of possible treatment options and have tooth decay taken care of right there and then. Of course, prevention is always better than cure, and the best way to do this is to brush and floss daily, as well as visit the dentist regularly for checkups and thorough cleaning sessions. If you feel that you may be suffering from tooth decay, contact Dr. Clive Rosenbusch, DDS at 561-394-7888 to schedule an appointment for a checkup today or visit www.cliverosenbuschdds.com.